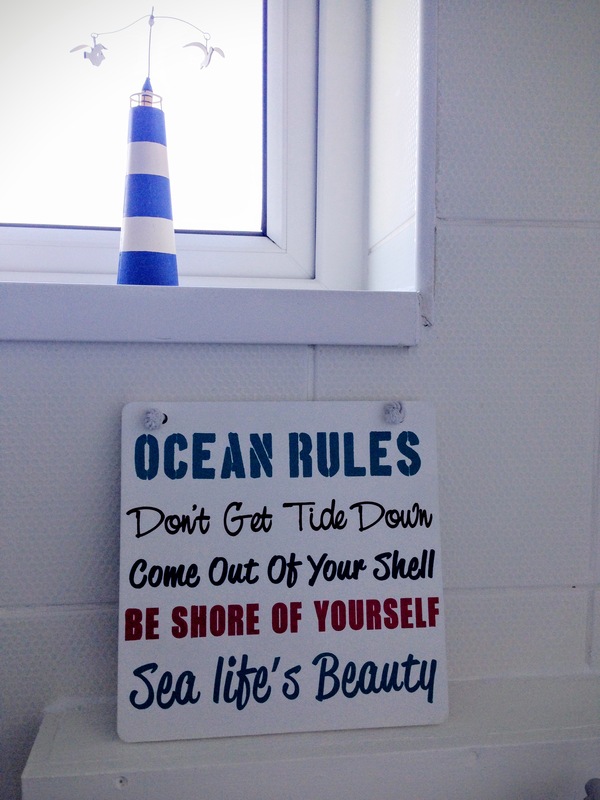 I thought this was the perfect sign to have in my seaside themed bathroom. Aside from the great puns, I like looking at these words every morning and evening when I’m cleaning my teeth – very wise words to think about! Why not go out and buy some words which will help your confidence increase and give you a daily boost?